History of South West Africa, 1939-1990. World War II had limited impact on South West Africa. In 1946 the Union of South Africa applied for the mandated territory to be incorporated; the United Nations denied the request. South Africa was not interested in extending the franchise to the non-white population - as the United Nations was pressing for in the mandated territories - and neither interested in releasing the country into independence. South African apartheid policy was also adapted in South West Africa, HOMELANDS were created. When South Africa found itself internationally isolated because of it's Apartheid policy, the same also applied for South West Africa. In 1964 the United Nations decided to end the UN mandate and in 1968 to adopt the name 'NAMIBIA'. South Africa, meanwhile, chose to ignore UN decisions on South West Africa.In the 1970es, the SWAPO liberation movement undertook guerilla actions, operating from bases in southern Angola. South Africa retaliated by raiding Southern Angola from South West Africa, and by supporting the UNITA in Angola's civil war. I n the 1980es it became evident that apartheid could not be upheld and the economic sanctions on South Africa had it's impact. South West Africa was renamed into NAMIBIA, universal adult suffrage and multiparty democracy were introduced, elections held in 1989 (won by SWAPO) and in 1990 Namibia was released into independence. South West Africa ceased to exist in 1989 when it became Namibia after a long and bloody war. A defunct South West Africa Police OBSOLETE 2nd pattern c1986 - 89 Police Officers cap badge in chromed and enamel finish metal .NOTE. 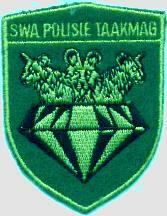 .The 2nd pattern cap badge is MUCH scarcer than the 1st type A pre 1990 issue South West African Police SWAPOL-TASK FORCE cloth patch, on police type geen wool material.NOTE. The SWA Police Task Force was the Parachute unit of SWAPOL and an elite anti - terrorist force, these patche are now becoming very difficult to obtain. 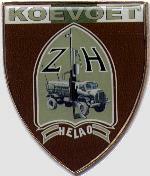 The KOEVOET units were an effective elite anti terrorist and counter insurgency force, South West Africa ceased to exist in 1989 when it became Namibia after a long and bloody war, all of the existing KOEVOET units were either disbanded or withdrawn to South Africa. 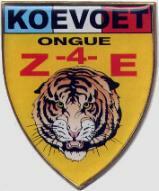 Those arm badges are part of an excellent quality series of commemorative Koevoet flashes made after the unit was disbanded. A 1985-1986 issue South West African Police SWAPOL-TIN (KOEVOET ) UNIT . 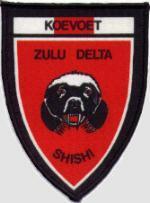 the SWAPOL-TIN being one of the SCARCER Koevoet patches. A pre 1990 issue S.W.A.P. 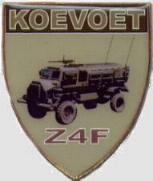 Koevoet Unit Flash – very rare, only 200 ever made because of error in the blue, white and red colours. The red was to be orange - used by all units. A pre 1990 issue South West African Police KOEVOET Fighting team Zulu One Juliet stationed at Oshakati- rare patch showing the Caracal adopted by the unit. Pre 1990 issue South West African Police Koevoet Fighting team Zulu One Hotel stationed at Oshakati- rare. 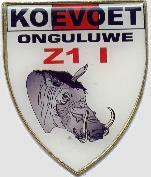 A pre 1990 issue South West African Police KOEVOET Fighting team Zulu Juliet stationed at Oshakati - rare patch showing the Gemsbok crest that the unit adopted. ORIGINAL pre 1990 obsolete issue South West African Police. 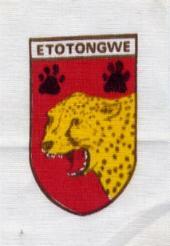 "KOEVOET Vehicle recovery Group first stationed at Ongwediva but moved to Oshakati – very rare. ORIGINAL pre 1990 issue South West African Police KOEVOET Fighting team Zulu 4 November stationed in the Kavango - rare. ORIGINAL pre 1990 issue defunct South West African Police KOEVOET Fighting ZULU - 4 - DELTA stationed in the Kavango ( RUVADI = THUNDER & LIGHTNING in the Kavango language) rare. ORIGINAL pre 1990 issue South West African Police "KOEVOET ZULU - 1 - INDIA" stationed at Oshakati- rare Zulu X-Ray.This patch not this one finished and only it is printed in fabric for lack of finishing his manufacture. pre 1990 issue South West African Police "KOEVOET ZULU - DELTA.